Where there is open water there is sure to be wildlife, but today is the first time I have seen a beaver in this part of the creek. It has obviously been busy in the area for a while, downing small trees and stripping off the bark for food. I’m not sure where its lodge might be located but I didn’t want to stick around for too long and be overly disruptive. Even with snowshoes on it is difficult to move quietly as the top layer of deep snow has a thick crunchy crust. Even so, some creatures are amazingly tolerant of the human activity on the periphery. Tolerant is the key word! Very nice photos! Yes, tolerant to some degree. 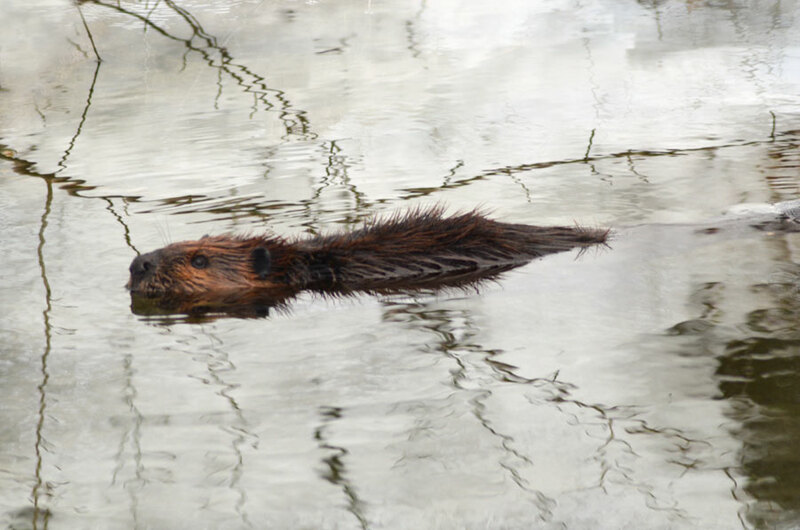 Thanks, Vassilis, I find most beaver disappear underwater before I can get a decent photograph of them so I was happy this guy wasn’t too shy. I just love the determination of some animals when they’re …off to work! Yes, it requires a lot of work to survive a Canadian winter outside. I think I was the fortunate one. Thanks very much, Marina. How wonderful! Lucky you to watch him in action. 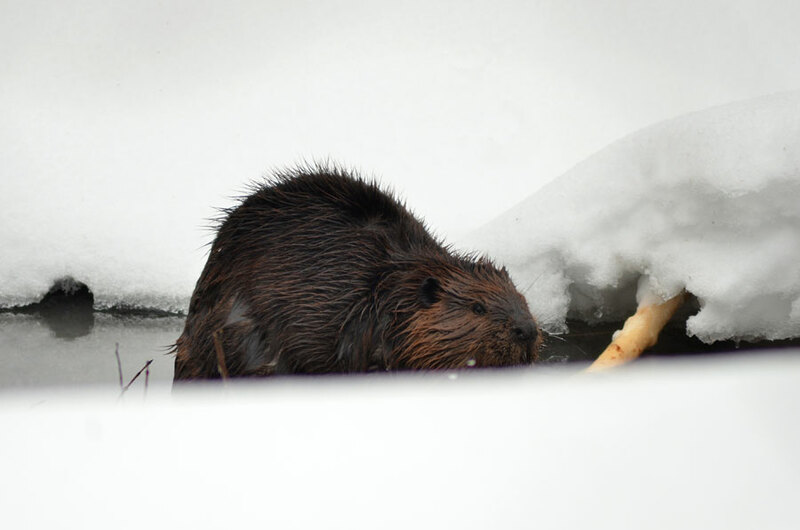 Lucky beaver to have been selected by your camera!
. . . it doesn’t look like a bee . . . These are great, Karen! Particularly the bottom photograph. Thanks, Allen. : ). I was surprised this little beaver was so tolerant of my nosey behavior. I was using a long lens though. Nice gliding images, Karen. It’s not always easy to get a good shot at them in such low light. If you don’t see a lodge out in the water, it is possible that it has a bank lodge which is not always easy to see. Thanks, Steve. Yes, the light was poor yesterday. I think the snow reflecting on the surface helped a little. I’ll have to back and have another look around sometime, it might be hard to find the lodge with all the snow we’ve had too. What a gorgeous little guy! Cute. One of the things I love about photography (and being outside in general) is that what you find is often surprising. You just have to show up. Thanks, Anthony! What a privilege to see him (or her?) busy at work. Great photos Karen. “furry torpedo” was my first thought. 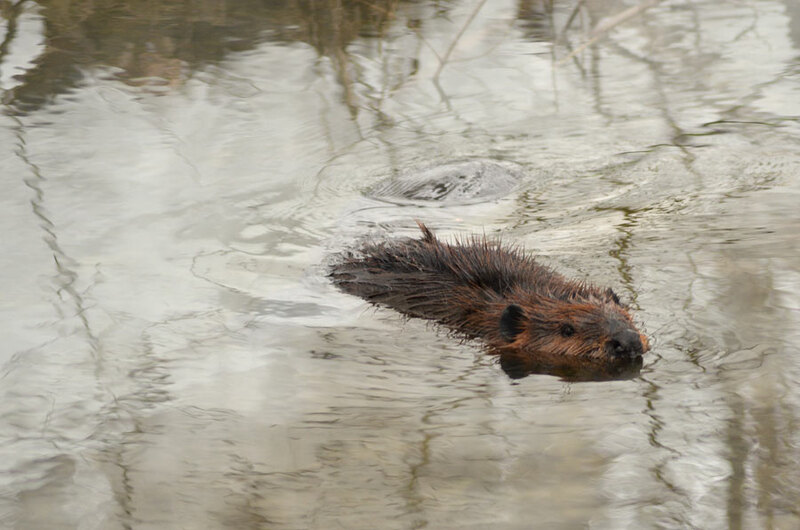 I know some people who think beavers are just as destructive. I don’t. They do significantly rearrange their environment but they are much less destructive than humans! Some of their rearranging benefits other wildlife too. I guess it’s all in your perspective. what inspiration we get from these living creatures we run into… how wonderful that we’re all part of this world. It is so true, Shimon. These creatures are very inspiring, and I felt very fortunate to get a chance to watch him or her. It’s an amazing world. So wonderful captured, great to see your photos! Thank you, I was lucky! Terrific captures– never knew how red their fur is. Nice set. Hi Jane, thanks very much. Yes, this guy (or gal) has quite a bit of reddish coloured fur. 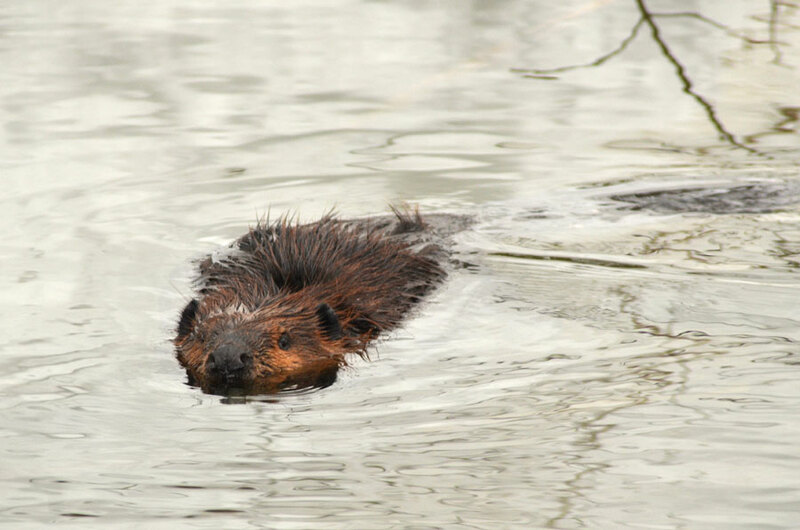 Very cool to see a beaver. Yes, it was! Thank you. This made my morning, Karen! It made my day yesterday when I saw this bust beaver. Great captures, Karen! How do you do it? Fantastic images, I love that reflections on water. Lovely to see this, a remarkable moment to cherish. What fun!! Not often that you get to see a beaver-at-work. Wishing you and yours all the bet in this up and coming new year! Happy New Year to you also, Isabel! Thanks very much for all your very kind comments. I am very happy to have known your blog. I’ve never seen a beaver. In fact you’ve shown me lots of things that I’ve never seen before in the most beautiful ways. Lucky you to see this beauty up close! What great shots. ooooooooooooo ! I am sooooooooo envious of you seeing these creatures ..
Great shots of a beautifl creature! Well done! An enchanted encounter – on snow shoes, no less. There is much wonder where you live..